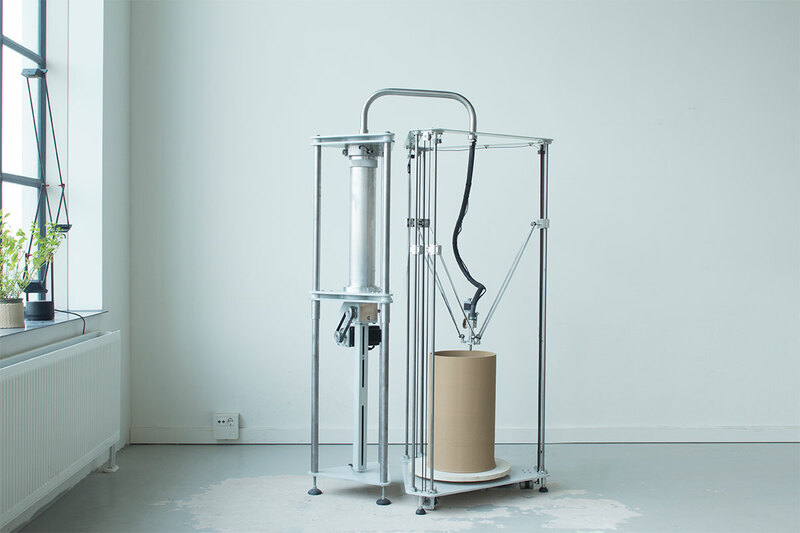 Tinkering with digital fabrication technologies, the industrial design graduate of the Design Academy Eindhoven constructs methods and means of production that meld together seemingly divergent worlds. A 3D printer that drips, instead of expels, its output, just as how stalagmites naturally form in caves. An open source extruder that anyone can freely use to 3D print objects with the more sustainable material of beeswax. These output by the Dutch designer sit at the intersection of the digital and analogue, as well as design and tools. Just as the advent of digital fabrication has democratised manufacturing for the masses, the works of van Herpt seek to reconnect design with the human touch. Drilling deep into the design process, he flattens the production chain standing between designer and user with his innovative machines that are really tools which empower making. By opening up the industrial machine, the designs of van Herpt invites all of us to collaborate in creating a world no one of us imagined possible. An introductory essay written for Olivier van Herpt’s website.